This April, we invite you to join hundreds of thousands of people across the country, and take a STAND Against Racism. This year, our main theme is Stand Against Racism: Building A Safe, Economically Secure Future for Women and Girls. The theme year was inspired by the history-making group of women of color elected to office this year. Structural and institutional racism raise additional barriers for women of color and girls of color including educational disparity, the wage gap, and access to health and social services. The YWCA emphatically believes that women of color have always led change and stands with them in solidarity as they continue to lead the way. It is also imperative to secure a future for young girls of color, creating a world where they can live fearlessly. (Read more about our advocacy agenda). 2019 Stand Against Racism campaign will kick-off with Thought-Provoking Talks, where all are invited to attend, listen, and participate in a dialogue about this year’s theme. We are proud to welcome Assemblywoman Verlina Reynolds-Jackson, Elizabeth Williams-Riley, President and CEO at American Conference on Diversity, Lauren Lalicon, the Policy Director for First Lady Tammy Murphy, Caroline Clarke & Joanne Parker, Board Members of Not in our Town Princeton, and Councilwoman Leticia Fraga as presenters. The event will be followed by group discussions. All are welcome to attend and participate! 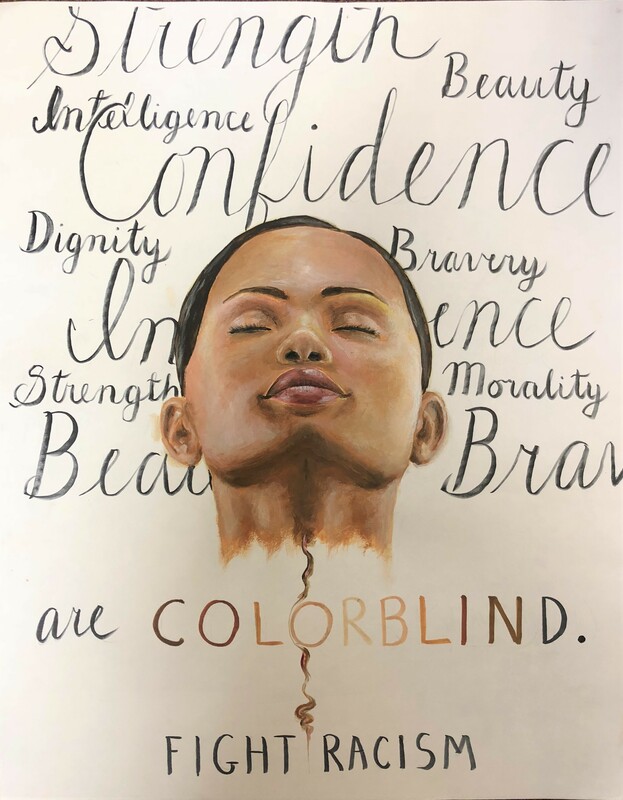 This event, held in collaboration with Corner House Behavioral Health, will provide an opportunity for the youth in Princeton to take a stand against racism and through poetry and music, share their unique experience regarding racism. All stand against racism events are free and open to the public. RSVP to rsvp@ywcaprinceton.org or call (609) 497-2100 ext 322. 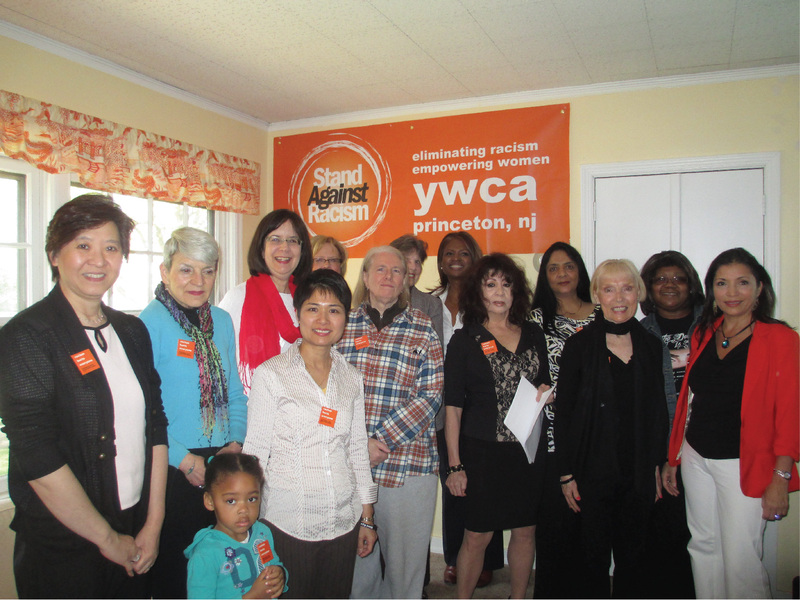 Stand Against Racism was founded by YWCA Trenton and YWCA Princeton in 2007. It quickly grew to a national presence by 2010, when an additional 80 YWCAs across the nation took a Stand. Over 2,000 organizations across 39 states joined in the Stand Against Racism. This phenomenal success attracted well over 250,000 participants and earned the endorsement of five U.S. Governors. The event has been widely featured by local ABC, NBC, CBS, and other networks. 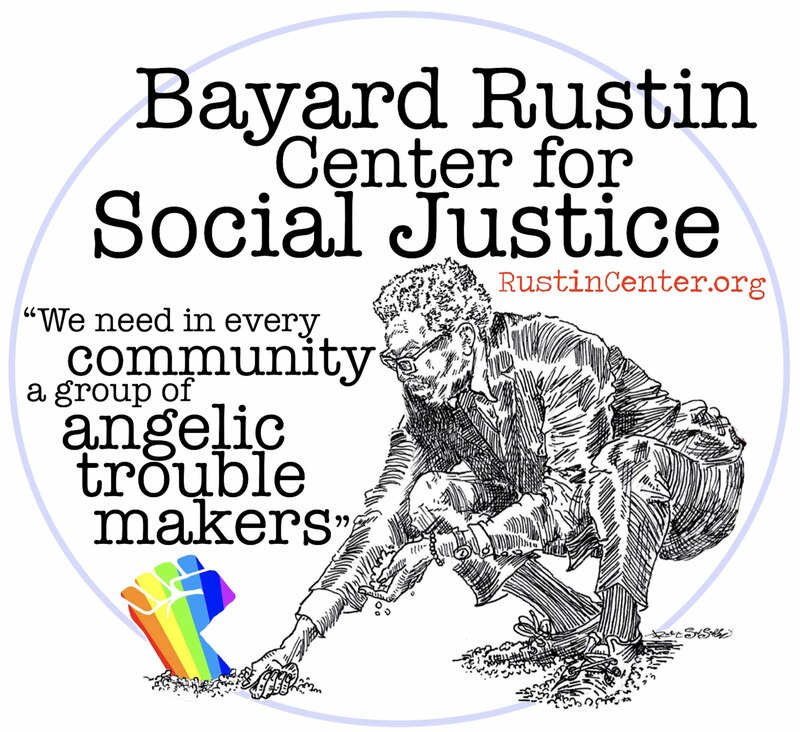 The 2,000 community sites included United Ways, Chambers of Commerce, State Governments and other municipalities, universities and colleges, Fortune 500 companies and small businesses, houses of worship, schools, civic associations, nonprofit organizations, hospitals and others. 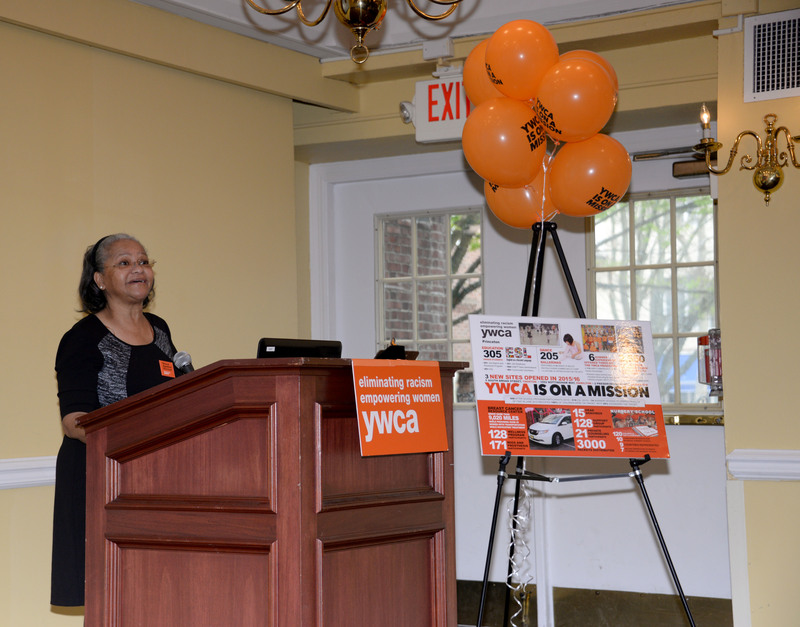 YWCA Princeton’s 10th Annual Stand Against Racism had the theme Women of Color Leading Change. A Legislative / Community Leader Breakfast was held on April 27, with speakers including Dr. Cheryl Rowe-Rendleman, Winona Guo, Priya Vulchi, Elisa Neria, Leticia Fraga, Adiana Abizadeh, Fern Spruill for Shirley Satterfield, and Clara Love, followed by a Youth Rally on April 28 at Hinds Plaza. 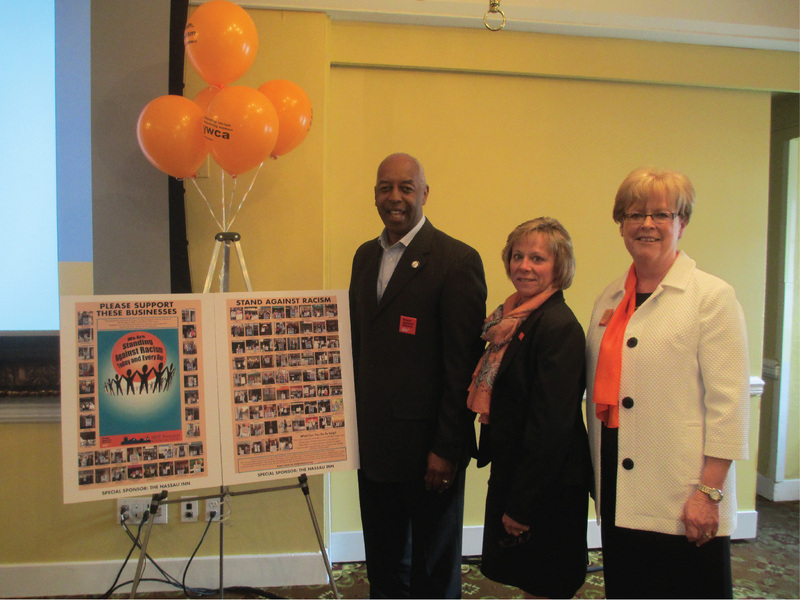 Elected officials and community leaders joined the YWCA Princeton at The Nassau Inn on April 29 for the Stand Against Racism breakfast meeting! The meeting began with a presentation from Lenora Green, the Executive Director of the Center for Advocacy and Philanthropy at ETS, who made a strong argument for the 2016 theme: On a Mission for Girls of Color! Updates from our community partners, including the Princeton Public Library, Not in Our Town, LALDEF – The Latin American Legal Defense and Education Fund, Princeton Human Services Commission, Princeton YMCA Committed and Faithful Princetonians, Corner House, NJ/GAIA affirmed the call for systemic change, while also celebrating the progress that has been made since our very first STAND in April of 2007. At the end of the day, community members were called to join Princeton’s youth at Hinds Plaza to support a grassroots demonstration for racial justice. View the picture gallery from the rally here. The 2015 Stand Against Racism campaign served as a time to focus on local, state, and federal level advocacy to end racial profiling. YWCA Princeton supported legislation that banned the practice of racial profiling at the federal, state, and local levels. To that end, YWCA Princeton joined hands with the Mayor’s office and local organizations such as Arts Council of Princeton, Corner House, The Latin American Legal Defense and Education Fund, The League of Women Voters, Not In Our Town, Planned Parenthood of Mercer County, Princeton Community Housing, Princeton Human Services Commission, Princeton Public Library, local schools, places of worship, and many others to connect with policymakers, to implement policies that eradicate racial profiling. As the federal government’s involvement was vital to ending racial profiling practices by law enforcement in communities of color, YWCA Princeton hosted a Legislative Breakfast and Press Conference where community members were encourage to contact their Congressional delegation and ask them to pass the End Racial Profiling Act. Individuals were also urged to register to vote, follow YWCA USA statements on racial justice and share them on social media. New Jim Crow Read-Out: Excerpts from Michelle Alexander’s, The New Jim Crow were read aloud by distinguished readers, to let listeners know more about the current US prison policy and its impact on the African American community. “Salute” Film Screening: This award-winning film recounted the role of a white man in a defining moment of the American civil rights movement, the Black Power Salute, at the ‘68 Olympics. Immigration Reform Presentation: Special guest, Patricia Fernandez-Kelly, Sr. Lecturer, Princeton University was the keynote speaker on a presentation on National Immigration Reform. This was followed by a community gathering, with Princeton Merchants Association, Not in Our Town (NIOT), and other organizations at Hinds Plaza. 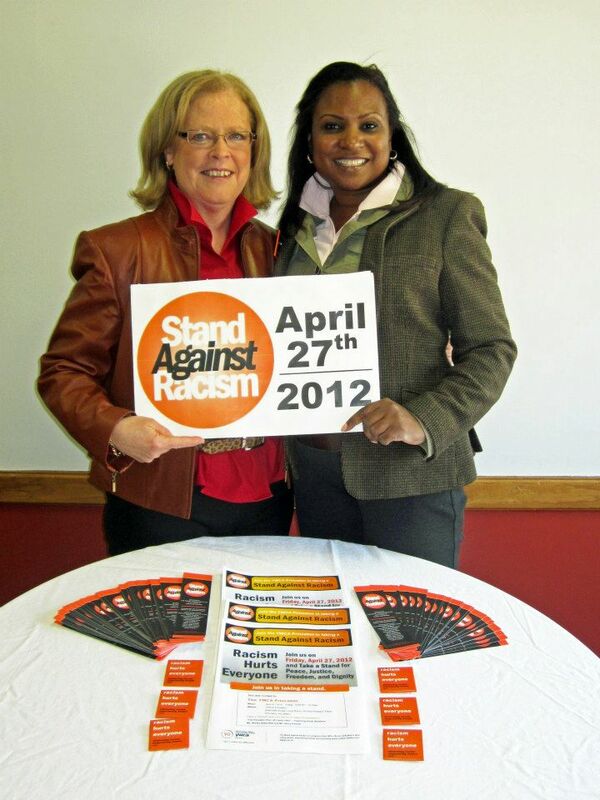 Judith Hutton, CEO of the YWCA Princeton, and Debra Raines, Director of Mission Advancement at the YWCA Princeton, joined together to host the 2012 Stand Against Racism. 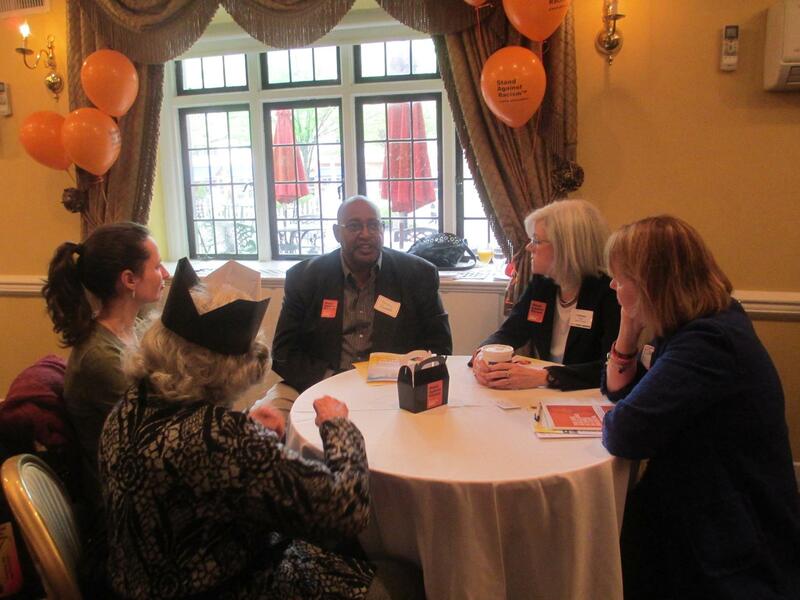 This event attracted over 2,200 partnering organizations that became participating sites by hosting local “stands”. Over 300,000 individuals took a stand against racism by attending one of the participating sites. Participants were invited to join the YWCA Princeton in a special video viewing of “The Princeton Plan: 50 Years Later”, which is a historical account on what it was like to be a part of the Princeton school system in 1948, six years before Brown v. Board of Education, when Princeton integrated two schools in the Borough of Princeton – Witherspoon School for Colored Children and Nassau Elementary School. Special guest speakers, Shirley Satterfield and Henry Pannell, who were part of the first class to integrate in the Princeton School system shared their experiences. “Although many of the students, administrators, teachers, and parents from the days of the “Princeton Plan” are no longer around, we are fortunate to have an opportunity to hear from Mr. Panell and Ms. Satterfield, who were second graders in 1948, as they give an account about a time in history that was different from the way things are today,” shared Debra Raines. Participants were invited to stand against racism by paying homage to a select group of Glen Acres’ residents who chose to take a “stand” in the 1950s when racial prejudice was overt and pervasive. “Glen Acres: A Story in Black and White” a documentary film, allows us to take a look at an important “…experiment of sorts…”. A panel discussion and words from filmmaker Diane Ciccone followed immediately after the film presentation. The event was held at the Mercer County Library in Lawrenceville. Special Remarks by World YWCA General Secretary, Nyaradzayi Gumbonzvanda opened hearts and minds to new perspectives and the richness of diversity. There were over a quarter million participants and over 2,000 partnering organizations comprised of individuals, churches, community groups, and businesses including General Motors, Mary Kay Cosmetics, Paychex, Inc., Time Warner, and the City of Rochester. And there endorsements by U.S. governors as well. By 2010, STAND Against Racism took a national foothold with over a quarter million people across thirty-nine states and more than 2,000 partnering organizations participating. Endorsements were received by five U.S. Governors and events were covered by major networks, including ABC, CBS, and NBC, as we all other smaller networks throughout the country. 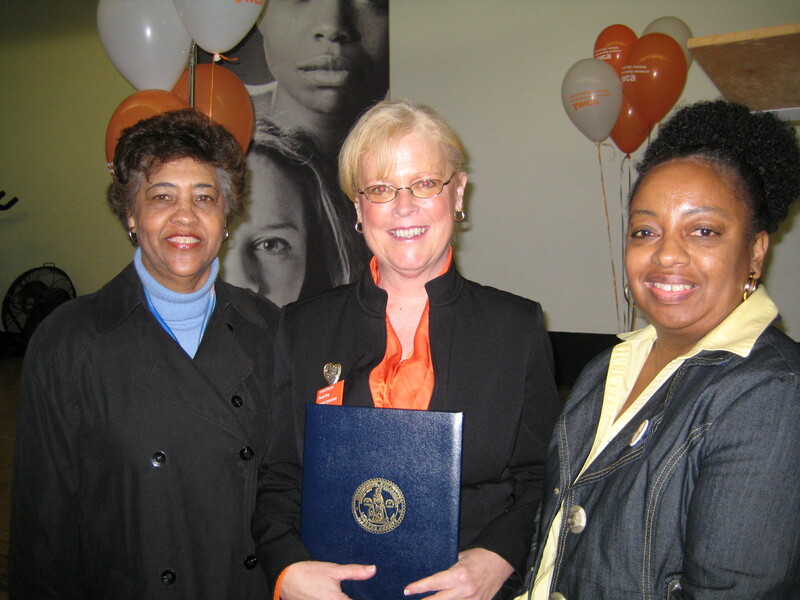 Princeton Borough Mayor Mildred Trotman, left, presented YWCA CEO Judy Hutton, center, with a proclamation recognizing the YWCA’s history of commitment and service to the Princeton community; joining them is Cynthia Mendez, Executive Director of Princeton Human Services. The 2nd annual Stand Against Racism, sponsored by the YWCA Trenton and YWCA Princeton, was held on Friday, April 3 2009. 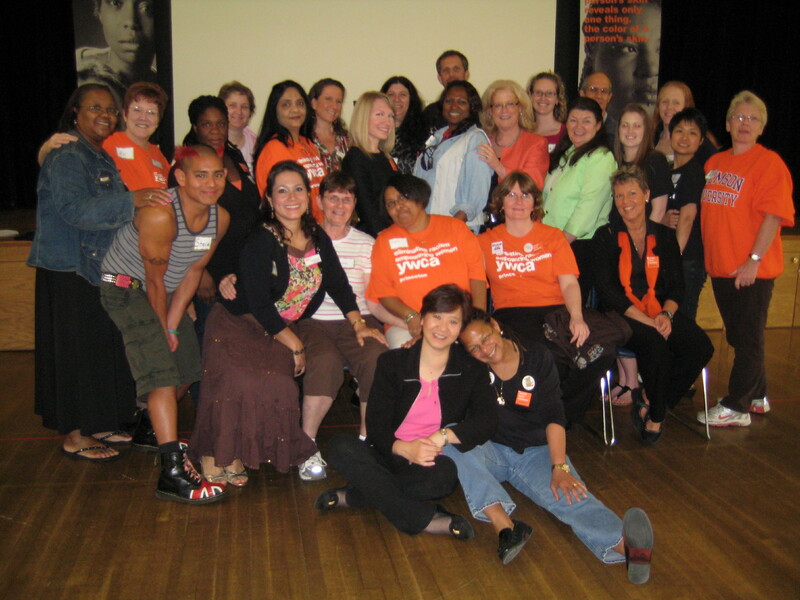 Joining in the STAND for the first time were 13 additional YWCA Associations – Bergen County, Binghamton, Brooklyn, Essex and West Hudson, Hartford Region, Jamestown, Mohawk Valley, Niagara, Tonowanda, Troy & Cohoes, Ulster County, White Plains & Central Westchester and onkers. It also attracted more than 300 partnering organizations and 30,000 participants, representing 64 municipalities, ranging from school children to elected officials, executives of large corporations, and church leaders, who joined together at 323 “participating sites” in New Jersey, New York, and Connecticut to rally against racism, promoting peace, justice, freedom, and dignity for all people in their respective communities. YWCA is on a mission to eliminate racism, empower women, stand up for social justice, help families, and strengthen communities. We invite you to take the Stand Against Racism pledge, along with hundreds of thousands of people across the country, join us this week during YWCA’s annual Stand Against Racism – and every day. Mindful of the continuing affliction of institutional and structural racism as well as the daily realities of all forms of bias, prejudice and bigotry in my own life, my family, my circle of friends, my co-workers and the society in which I live, with conviction and hope; I take this pledge, fully aware that the struggle to eliminate racism will not end with a mere pledge but calls for an ongoing transformation within myself and the institutions and structures of our society. I pledge, within my means, to actively work to support public policy solutions that prominently, openly and enthusiastically promote racial equity in all aspects of human affairs; and to actively support and devote my time to YWCA, as well as other organizations working to eradicate racism from our society.